Download Here the Latest Free Version of the Solitaire Setty, the cardset design tool for Solitaire City. 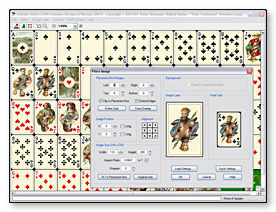 Solitaire Setty if completely FREE ! Click here to download a self-extracting executable file (.exe) that will install Solitaire Setty to your PC. Once the file has downloaded, click on Open and follow the on-screen instructions.